A few of us wen’t to see this last Sunday, it was pretty interesting but so badly made! It assumed that all viewers had a good knowledge of black metal and the editing was something else altogether, I couldn’t keep up with who had done what and who was in what band towards the end. 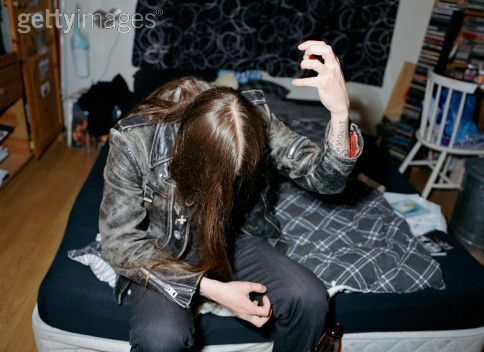 Kerry is very much in love with Fenriz too, he seemed to be the only one with half a brain cell in the whole bloody film, haha. maybe you should have gone to that weird little backstreet second hand shop, he was probably there, haha. The film is rubbish, and why an otherwise eloquent and funny (well, in Norwegian he is) Fenriz took part in this is beyond me. No wonder you did not find him in Bergen as Elm Street is on Oslo. BTW, new Darkthrone album out NOW! hahahaha! Yeah, you’re right, I’m an idiot! I was on tour at the time and got a lot of places mixed up!